Man Cho, D.P.M. believes that healthcare should be provided in a calm and warm environment. Utilizing current technology and evidence based medicine; Dr. Cho’s focus is on educating his patients on their condition, treatment options, and creating a personalized plan of action. Dr. Cho was born in Venezuela, South America and grew up in Maryland. He attended Wake Forest University in Winston-Salem, North Carolina, receiving a BS in Health and Exercise Science. During this time, he worked extensively in the Biophysics Department, publishing several papers on sickle cell anemia. After graduating from Wake Forest, Dr. Cho attended Temple University School of Podiatric Medicine in Philadelphia, Pennsylvania, earning his medical degree in 2010. 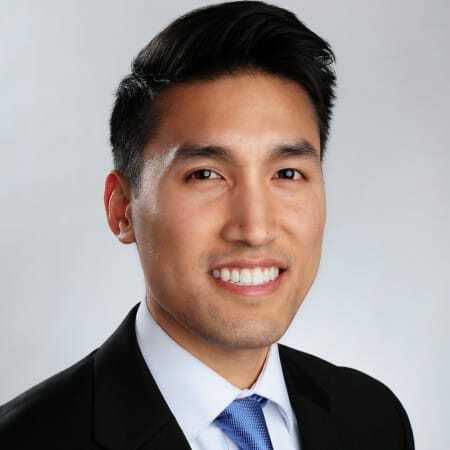 He completed three years of post-graduate surgical training at Saint Francis Hospital and Medical Center (Trinity Health) in Connecticut, serving as chief resident. His residency involved all aspects of podiatric medicine and surgery, including forefoot and rear-foot reconstruction, and diabetic limb salvage. While in Connecticut, Dr. Cho helped run a resident clinic, providing healthcare to the underserved community of the greater Hartford area. He also completed a two month internship at the renowned Rubin Institute of Advanced Orthopedics and International Center for Limb Lengthening in Baltimore, Maryland. Dr. Cho’s professional interests include pediatrics, flat foot correction, and sports medicine. 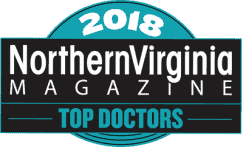 Dr. Cho has received numerous accolades, including being named a Top Doctor in the Washingtonian, Northern Virginia, and Virginia Living magazines. He is currently the Chief of Podiatry at Reston Hospital Center and is on staff at Reston Hospital, Stone Springs Hospital, and Inova Fair Oaks Hospital. Outside of the office, Dr. Cho regularly lectures to the Inova Family Medicine residency program. He is active in his local community, volunteering in events such as Reston Relay for Life, YMCA Kids Triathlon, and the Reston Triathlon. For Dr. Cho’s complete curriculum vitae, click here. Doctorate in Podiatric Medicine, Temple University School of Podiatric Medicine, PA, 2010. Dr. Cho completed his post-graduate training at Saint Francis Hospital and Medical Center, a three-year surgical residency in Hartford, Connecticut, where he was Chief Resident. I am very impressed with Dr. Cho. He addressed all of my issues without ever making me feel rushed. And, he completely fixed the callous on the bottom of my foot that was making it uncomfortable to walk. Dr. Cho went above and beyond by calling me back after hours and working with my insurance company to get them to accept his prescribed drug. Dr. Cho is an excellent doctor. He truly cares about his patients. I have always felt respected by him. He has always been very compassionate. Dr Cho not only does his work on my feet(the Medicare approved wellness visit for diabetics) but is a tremendous source of information and support for my Lymphodema. As a transplant from NJ, this has been invaluable. If I could have him as my primary doctor I wouldn’t hesitate. Very good office staff and Dr. Cho is excellent . Thank you! A WEEK AGO WAS MY FIRST VISIT TO YOUR OFFICE. I HAVE NO REMEMBRANCE OF EVER BEING SO IMPRESSED HOW WELL THE OFFICE WAS RUN. CAN'T SAY ENOUGH. I am very happy that I found Dr. Cho and have recommended him to a friend of mine. Dr Cho is wonderful- not only on a technical knowledge basis but he is a warm, caring individual!Love Dr. Cho! Dr. Cho is a champ! DR. Cho is very personable, knowledgeable and professional. Dr. [Cho] was a pleasure to see. His professionalism and demeanor during and after my exam was spot on and really put me at ease. I would recommend him to anyone needing a foot specialist. Dr.Cho has been amazing throughout my foot problems/surgeries. He is very professional, and makes me feel at ease with his caring demeanor. Dr. Cho was very attentive to the problems I am having. I would definitely recommend. Dr. Cho knew exactly what was wrong and took the first steps to alleviate the problem. The second visit seems to have solved the whole thing. Am a happy camper.